This study is a major, first attempt to address comprehensively and in-depth the many issues associated with the institutional innovation in water resource management. 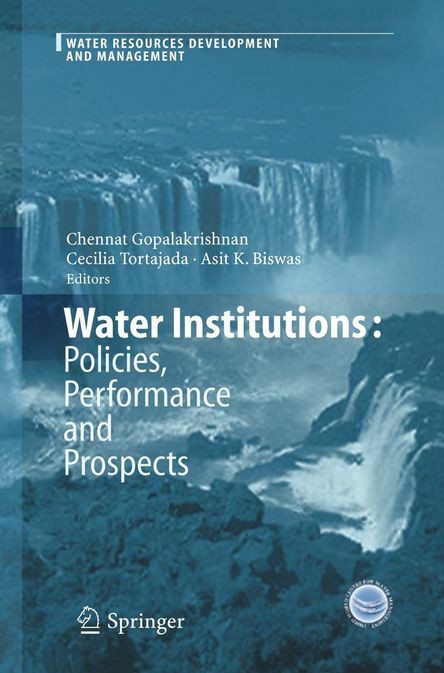 It is a global survey and assessment of the structure, evolution and performance of water institutions in regional, national, and international settings. It includes: an analysis and discussion of the rationale for institutional innovations, based on case study findings; specific suggestions for sustainable institutional design, and recommendations for implementing institutional reforms. The term “water institutions”, in the context of this volume is broadly defined to include water laws and regulations, water supply schemes, water technologies, regulatory practices, and water administration policies, all viewed in light of the prevailing socioeconomic, political, and cultural settings in which they are embedded.